Yes, we do offer childcare during the 9:30, 11:30am, 4-7pm classes. Our highly qualified staff will take care of your lil ones while you get a top-notch workout. You can pay $2/child per class or $25/month per child for unlimited use. Our childcare room is climate controlled, cameras and it’s own private restroom. Can I purchase a T-shirt instead of paying a drop-in? We don’t offer a shirt-trade or shirt-4-WOD program. However, we do keep shirts in stock for purchase. Drop-ins must be scheduled in advance. The athlete must have greater than 6 months experience from a registered Affiliate, show-ups 10-15 minutes early to meet a coach & answer a few questions. Schedule a Drop-in > Pull Up class Schedule “Sign-In and pay. What is your drop-in rate? Our drop-in rate is $20. A 3% processing fee for credit card transactions. 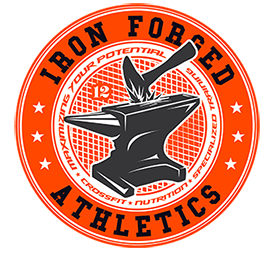 When you first come to Iron Forged CrossFit, you’ll start out with a free intro session where you come in for a baseline workout, meet us, chat with our coaches, and talk with a trainer about your goals. Then, you’ll join us for our Foundations Course, where you’ll learn all the basics of CrossFit in a fun and encouraging environment. To get started today, just click. A WOD is the workout of the day. We program a different WOD everyday. 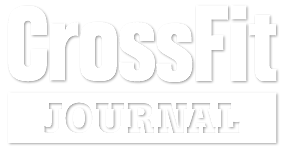 The great thing about CrossFit is that it is constantly varied, so there is NO typical WOD at Iron Forged Athletics. You can expect to see a very diverse mix of weighted movements, aerobic and anaerobic conditioning, bodyweight movements, and other skill work. Check out our daily workout.